Beautiful original painting done on museum style canvas. 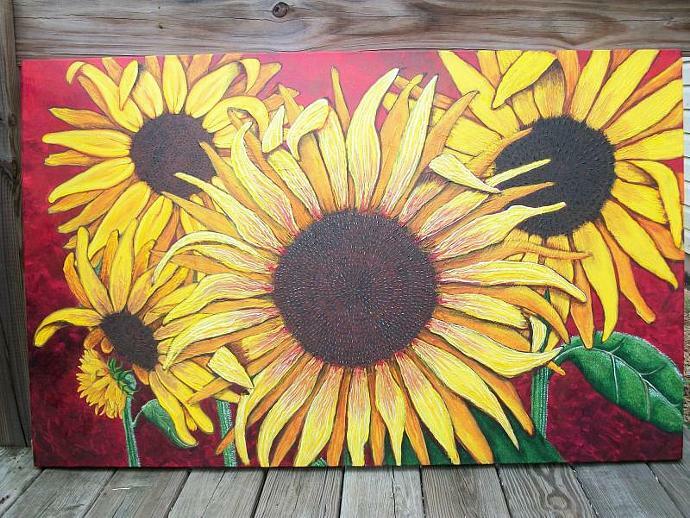 Sunflowers all the way, big bold and so full of color and texture, pictures cannot show the quality and depth of this painting. 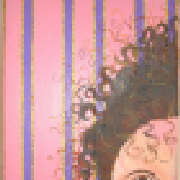 It measures 30" x 48", nice large piece of artwork. great to put over a sofa bed or even blossom over your dining room table. Because it is museum style no frame is needed, and the flowers flow over the edges to give it punch from every direction! This is an eye stopper for sure!